It took us June and July to finish the house renovation projects, prepare the house to sell, find a home for everything that didn’t fit into our 5’ X 10’ storage unit or our one car, all the while simultaneously planning and packing for our new life on the road. The first huge leap came when both Aaron and I resigned from our jobs . . . as we have been seriously education- and career-minded the past 20+ years in the Seattle area, this leap was filled with “what ifs” and “are we being crazy?” moments of panic. Clearly, the wanderlust won out, and here we are, having sold the house, given or sold most of our possessions, and sent our daughter ahead with my sister to our first destination so she could have a bed to sleep in. 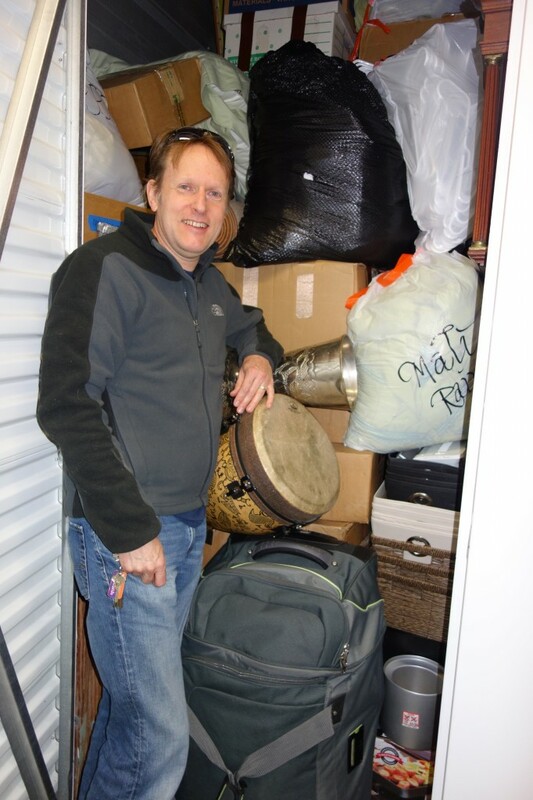 Standing in the door of our 5’X10′ storage closet with what’s left of our belongings! The Mazda3 packed and ready to go! 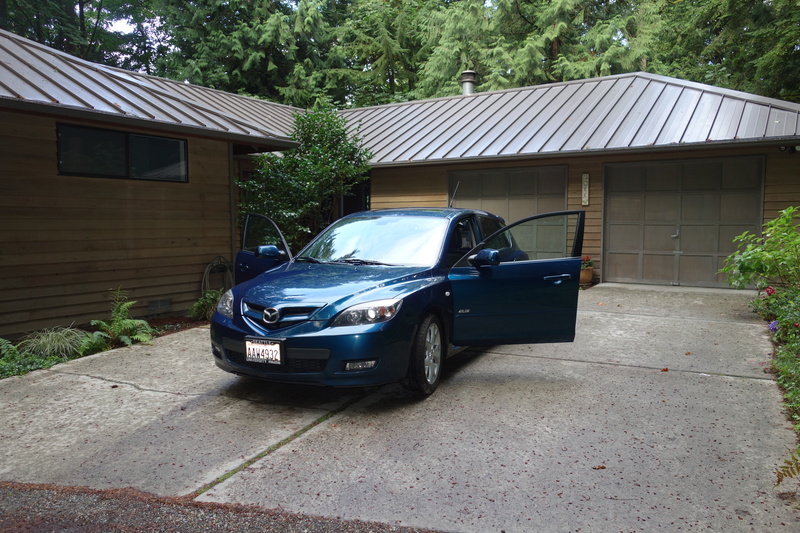 On the evening of September 2nd, just a few days ago, the Mazda was stuffed to the gills with all our travel and camping gear and a few boxes we planned to leave with my sister, while the house stood clean and empty, ready for its new family. In anticipation of the 4-5 hour drive over a mountain pass or two, Aaron wondered out loud as to whether we should postpone our departure ’til morning. At that very moment, huge thunderclap startled us both; with a day full of last minute closing and cleaning the house, neither of us had bothered to look at the weather report, and as the wind picked up and the rain began to pelt, we quickly learned Road Lesson #1: Check the weather before departing! 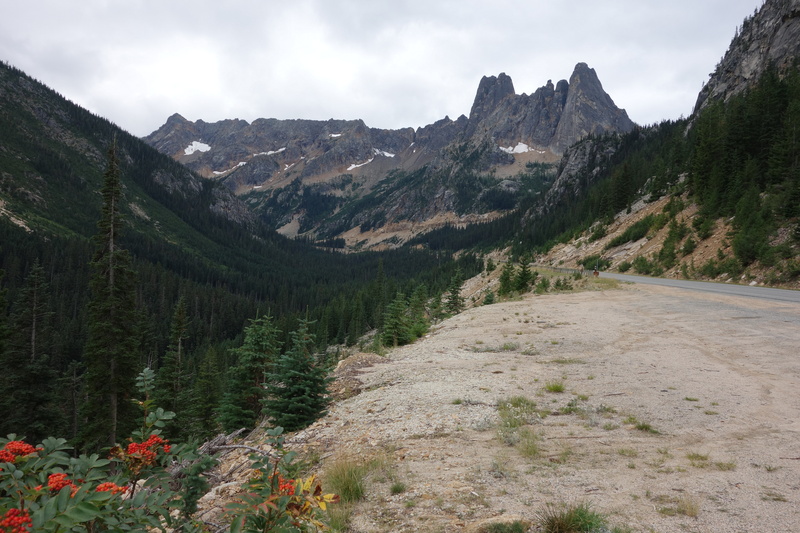 Washington Pass over the North Cascades . . . stunning drive! The next morning we took off from Redmond, in glorious weather on one of the most scenic drives in the U.S. Highway 20 over Washington Pass in the North Cascades National Park. Shedding a paradigm is often precipitated by events outside of our control; for us to intentionally embark on this adventure feels both surreal and amazing. 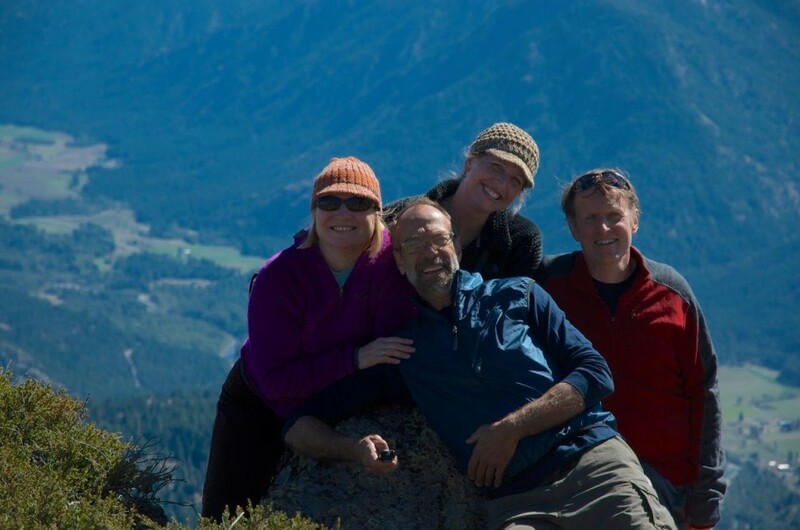 The Methow Valley in North Central Washington is home to the little western town of Winthrop, and my sister and her family. This allows us to get our bearings, continue to prepare for our overseas trip, and to enjoy our family. how is Colorado? how Was the drive over there? Thanks for the note! I’m planning on launching on Wed. before we fly out to Iceland. The drive to CO was beautiful. We LOVED Durango – super cute town! We sold our car today and all is well. How was your reentry into life in Santa Cruz? Any thoughts on how we can share photos with each other?